She invites you to call with ALL your real estate needs! Born and raised in Ottawa in the community of Crystal Beach, Leanne has an excellent knowledge of this wonderful city and all it has to offer. Leanne is happily married to Steven Montcalm and they presently live in the Bridlewood community. Leanne has two wonderful grown children, Brock and Tiffany. After graduating from high school, she went on to College and received her Diploma as a Medical and Laboratory assistant. She worked for 8 years as a medical assistant/secretary for a Family Practice in Barrhaven where she thoroughly enjoyed working closely with the public. Leanne also worked for 14 years as C.O.O and Vice-President of a Transportation Company. Leanne’s over 30 years of experience in various aspects of management and customer care gives her an excellent understanding of what it takes to be a REALTOR®. As she has done in her past professions, Leanne provides the same level of professionalism, enthusiasm and dedication to her clients in the real estate field. Leanne appreciates the dedication it takes to be a successful, well-respected REALTOR®. 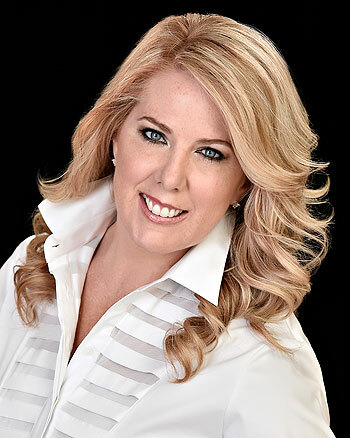 Since joining RE/MAX in 2009 Leanne has been a consistent Top Producer and Award Winning Agent. She’s been the proud recipient of Executive Club Award, 100% Club Award and Platinum Club Award winner for 2013, 2015 & 2016 with Re/Max. Leanne is a member of the prestigious Re/Max Hall of Fame Club and also received her Certified Negotiating Expert designation. Leanne is also a proud supporter of the Canadian Breast Cancer Foundation and the Children’s Miracle Network. A portion of every commission she receives goes to support the Children’s Miracle Network the wonderful charity which benefits CHEO. As a second generation REALTOR®, Leanne “grew up in the biz”. She joined her mother Trudy O’Donnell at Re/Max in 2009. Trudy O’Donnell was a very well respected & successful REALTOR® with over 33 years experience in the industry. Trudy is now enjoying some well deserved semi-retirement but remains on the O’DONNELL TEAM with Leanne acting in an Administrative role. Leanne understands the time, energy and dedication it takes to find you the home of your dreams or to selling your present home. Offering professional, courteous & dedicated service is her TOP PRIORITY!